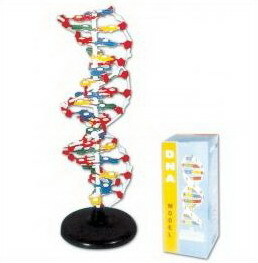 This model is designed as a visual aid in teaching DNA Activity and is highly recommended for all major Schools, Colleges and Universities. it is an instructional model that demonstrates replica of the "Molecule of life". Packing: Each piece is individually packed in a thick box, 10pcs/outer carton.